Has anyone seen or know of a test published comparing the Irix 11mm and the Laowa 12mm? Scroll down on this link from dpreview.com. Last edited by CristiC; 09-28-2018 at 04:27 AM. The Irix 11mm test has been published here a short while ago. The Laowa 12mm test should be published in the near future, it will go to editing soon. I can tell you my conclusion already. The Irix 11mm is a very good lens, with some compromises optically. The Laowa 12mm is a superb lens, with few optical compromises and amazing build quality. It's more expensive but if Pentax made a 12mm Limited, this lens would be it, or close to it. To me there is no contest: the Laowa is superior regarding sharpness, distortion, handling, CA. It focuses closer also. Vignetting is bad (and easily corrected) on both, bokeh a bit better on the Irix (not very relevant on a ultra wide lens). The 12mm is more compact, but close to the same weight (it's dense and hefty). If money was no object, I'd go with the Laowa without hesitating. That being said, the Irix is much cheaper and pretty good in its own right. Many thanks for the link to the test. I have seen many comments on both but these days it is much more difficult to judge reviews. Different people have different expectations of lenses and this does tend to be reflected in their reviews. There do seem to be advantages to both. The Irix in the blackstone version is weather resistant, cheaper and has a slightly wider angle of view. I know 1mm is not critical in judging more normal lenses but in this range the relative difference is much greater. On the other hand, the Laowa has the aperture ring which makes it usable on film bodies, is faster and more compact. So at the moment bearing in mind all the various comments it was about 50/50 which is why I was interested in a direct side by side comparison. I was interested in a direct side by side comparison. When the review of the Laowa comes out you'll be able to do mostly that. Lenses are tested always in the exact same way, and reviews are built so they can be compared to one another. For the time being, you have to take my word for it. I agree 1mm makes a difference at these angles. However remember that if you plan on correcting distortion via post-processing, you will loose all of that 1mm advantage and more. The Laowa's distortion control truly is impressive, as is corner sharpness. Post some images soon Kim! 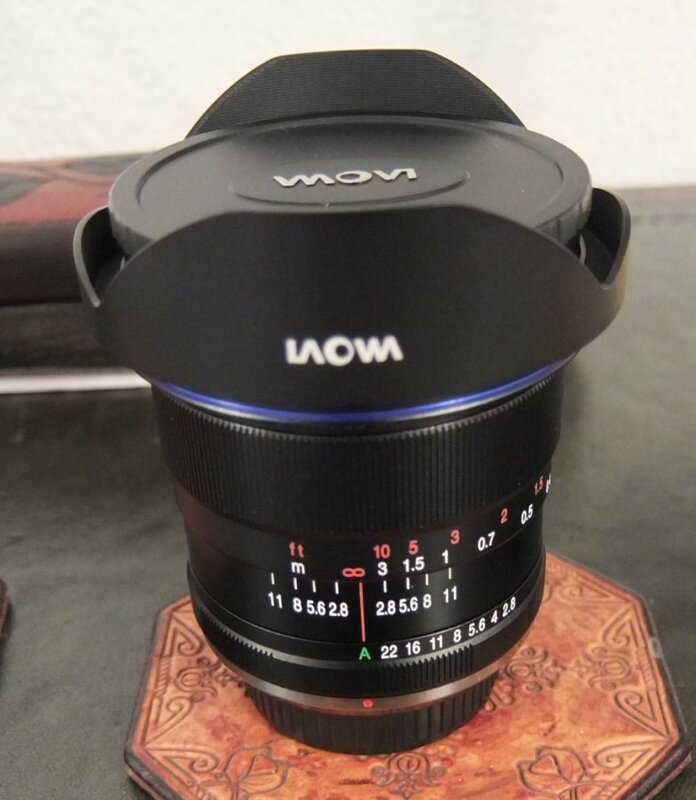 For those interested, the laowa 12mm review has been published! It was one of the things which helped the decision. Having said that, Irix did a sale price on their 11mm lens in the UK with the Blackstone version selling at the same price as the Firestone and both reduced to about half the normal price of the Blackstone. Same with the 15mm but I do have the 15/3.5 A lens to cover that.